Haggerty, Shawn - Groelle & Salmon P.A. 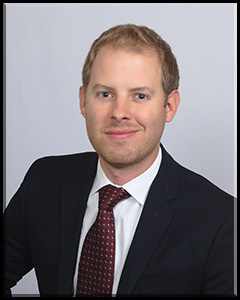 Mr. Haggerty is an associate attorney in the Tampa office of Groelle & Salmon P.A. He focuses his practice on property insurance and contract disputes. Mr. Haggerty previously spent several years practicing in one of the preeminent firms in the state of Florida, litigating a wide variety of insurance-related matters for catastrophically injured clients. Through this, he has gained invaluable trial and appellate experience in both state and federal court. Mr. Haggerty is a graduate of the Florida State University College of Law. While in law school, Mr. Haggerty served as Article Selection Editor for the Florida State Journal of Transnational Law & Policy as was a member of the Florida State Business Review. After his first year, Mr. Haggerty was selected to study international law at the University of Oxford, United Kingdom. He was then chosen as a Teaching & Research assistant and Peer Mentor, helping fellow students develop research, writing, and advocacy skills. Mr. Haggerty is a member of the Florida bar and is licensed to practice in the Middle and Southern Districts of Florida, as well as the Eleventh Circuit Court of Appeals.